In an effort to support some of the amazing Lakota artists on Pine Ridge, who use their art as a means to preserve their culture and to make ends meet, we have begun featuring four Lakota artists a year. Information about the artist and some of their work will be displayed on this page and they will also be promoted in our monthly newsletter and through our social media network. If you are interested in purchasing any of the art displayed here, you will contact the artist directly. 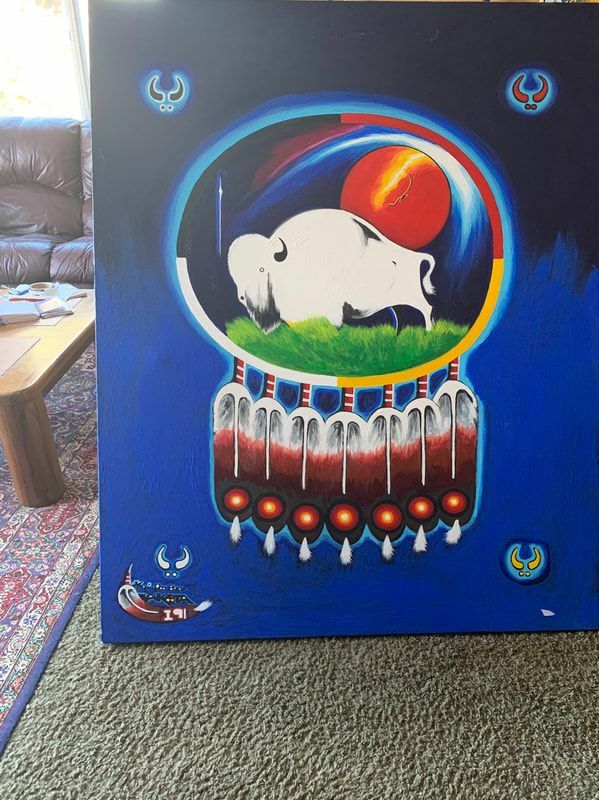 The Tipi Raisers is not involved in any of the transactions and all proceeds from the sale go directly to the artist. ​Kevin Poor Bear, 52, is a self-taught Lakota artist who has been painting and drawing since age 8. Kevin is a father and grandfather, living in a small home with 14 family members on the Pine Ridge Indian Reservation. Kevin- a bi-lateral amputee- says he hopes his art and his story can be an inspiration to young people on the reservation. 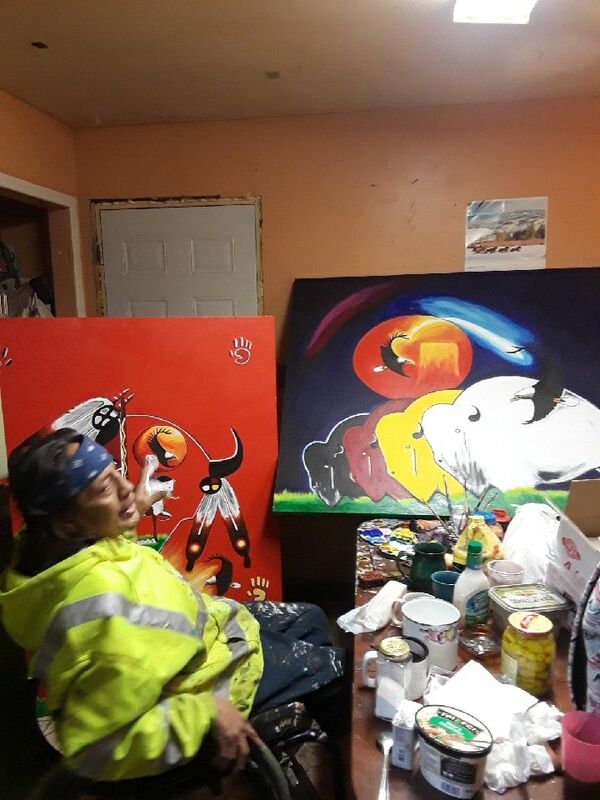 Kevin uses his art as a means of survival-and is frequently seen in his wheel chair in the town of Pine Ridge selling his beautiful work on the street corner. His preferred medium is soft pastel. Kevin can be contacted directly if you would like to purchase or learn more about the pieces featured here Please check back frequently over the next few months as we will continue to post Kevin's work. Kevin is eager to talk with you and to share more about his work and life.